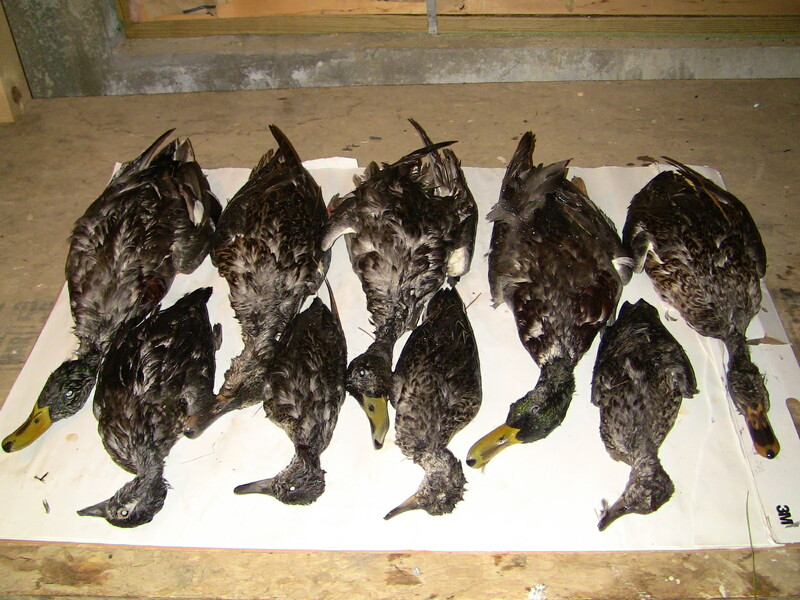 In this story, the honorable President of Duck Power Incorporated returns to Central Maine for the annual duck hunting opener. In this classic tale, he battles against lower intestinal issues, raw meat, drenching rain and gluten free cookies. 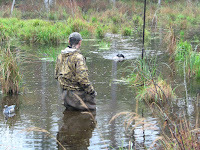 If you are a regular reader of my blog you will certainly remember some of my other Mr. President tall tales such as: Mr. President, the award winning Mr. President's New Waders, Mr. President's Hard Water Adventure I and Mr. President's Hardwater Adventure II and finally Mr. President's Bronze Back Adventure. Please enjoy this latest tale in the Mr. President story series! 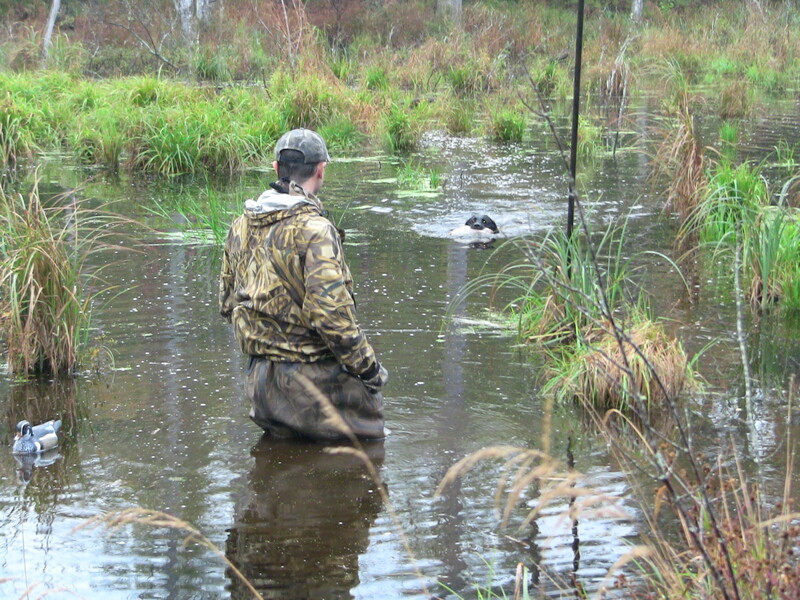 My last foggy recollection, on the eve of the 2011 duck hunting opener, consisted of me belting out the chorus of the Hank William classic “Family Tradition”, as the Duckman (AKA Mr. President) keep perfect beat with his lactose intolerant flatulence. After that sorted show, a sleepy head crashed down on a pillow and my tired mind refused to even dream. The alarm wailed at 4:30 AM and I already smelled coffee. Stumbling down stairs, I noted the boys were already in a tizzy to get started. Mr. President was half heartedly choking down a gluten free bagel. Seeing his apparent displeasure, I gagged in sympathy, at the mere prospect of consuming such a vile conglomeration of ingredients. Against my every attempt at holding back our early arrival at the blind, the boys were hot and horny to get moving and we arrived at the blind with MUCH time to spare. The remaining 1/2 hour before legal was spent sitting quietly in the dark, with only the sound of frequent tobacco spitting breaking the silence. Despite his belligerent mockery of my indoor horseshoe pit, inability to cook steaks past rare, failure to successfully carry a tune and complete lack of basic story telling etiquette, when the chips were down and someone needed a shotgun shell, who do you think was suddenly Mr. President's best buddy. Never be it for the Mr. President to underestimate the power of that Jack-O’-Lantern grin of his. I am just surprised that he didn’t talk ME into walking back to the 4 wheeler to get his “special” shells out of his blind bag!! As the morning progressed into that magical time know at “legal shooting hours”, our band of brave hunters attempted to silhouette flying ducks, against untimely dark skies, with each strike of lightening. Eventually as the heavy rain subsided and thunder and lightening abated, I looked across the pond and noted that somehow we had managed to shoot somewhere in the neighborhood of 3-4 ducks. Commanding my faithful retrieve Onyx into the fray of water, mud, weeds and rotten blow downs, I directed her to each of the downed ducks. 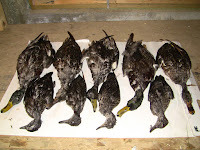 As she collected her prizes and returned to the blind, I counted the casualties, green winged teal, mallard (green head), green winged teal, mallard. A good first round of action was had but unfortunately for me, Mr. President had not yet harvested his promised drake wood duck. In his time hunting puddle ducks with me, Mr. President has managed to take many ducks that are foreign to a die hard “sea duck” hunter. Female wood ducks, green winged teal, blue winged teal, green heads, etc. One of his last avifauna to add to his life list is a drake wood duck, which over the years has managed to elude him. Staring at my watch, I noted that much time was still available for him to complete this monumental task BUT would it be enough time. Staring at his normally happy face, I could see the edgings of disappointment (or maybe it was gas?!?!). Even his 7:30 AM downing of two mallards, in a spectacular display of shooting prowess, seemed to do little for his growing displeasure. At 8:00 AM I even instructed him to take an easy 5 yard crossing right to left swinging shot at a green winged teal, propelled by a 20 knot tail wind. In a clear display at how distraught he was, at my inability to get him a drake wood duck, he missed this easy shot. As our end time neared, a streak of colorful feathers flew by our blind and I yelled to Duckman SHOOOOOOT WOOOD DUCK! Mr. President leaped up from his perch, rifled forth a quick 3 round volley of high velocity steel #6s into the ozone, re-loaded and fired three more. 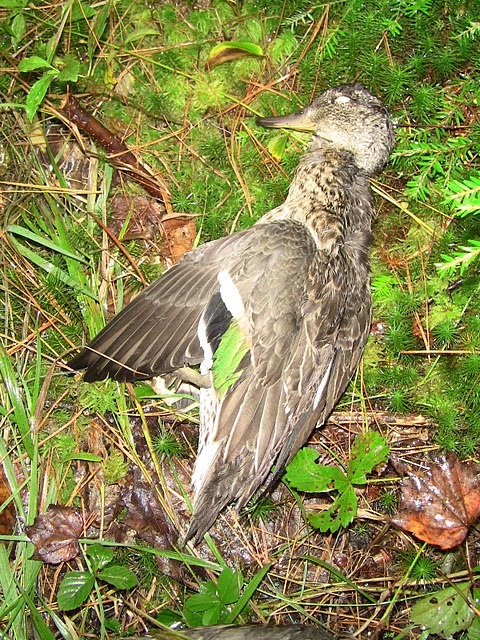 Something wood duck like fell from the sky and landed on the other side of the marsh in several pieces. Understanding the complexity of the retrieval situation, I grabbed Onyx and our new Duck Power Incorporated “pledge” Travis and proceeded to wade around to the other side of the marsh. At this point, Mr. President was not able to help us retrieve his fallen duck, as he was busy completing his morning routine of doctor prescribed gluten cleansing physical therapy exercises . . . at least that is what he said and who am I to question a medical professional. Struggling against the mud, beaver cut stick poles, blow downs and generally the nastiest bit of swamp hell you can imagine, the sharp eyes of our new pledge spotted the white underbelly of a wood duck. As Onyx swam in for the retrieve, I said a silent prayer to the duck Gods and hoped against hope that I had managed to fulfill my promise to Mr. President. As the dog brought the badly mangled bunch of twisted meat and feathers to my hand, I let out a deep sigh of disappointment noting that a promise had been broken. With head hung low, I headed back to the blind. Upon sharing the news, to my surprise I was not met with a verbal beating but rather old Mr. President gave me a hearty man hug and thoroughly thanked me for the fantastic time I had shown him. He went on to mention he was excited to return next year and join me on yet another “opener”. In fact, he even offered me one of his gluten free ginger snap cookies!! As I choked back the moist cookie, tasting of swamp water and pocket lint, I noted that my assessment of this situation had been badly skewed. In my flurry of concern for Mr. President's delicate feelings, I had missed the crucial fact that hunting is more than just shooting a trophy duck . . . hunting . . . perhaps . . . is just a little bit more. And what happened then? Well in Augusta they say the Rabid Outdoorsman’s small heart grew three sizes that day! For an alternate set of truths on this tale. Please see Mr. President's Blog. Great post. i have had those cookies and would rather have settled for pocket lint. Prpark, HAHA! Yes, I agree that pocket lint would have a much less heinous aftertaste!